Fabriano 260gsm mould-made, hand torn deckle-edged cards and envelopes for making your own invitations or greetings cards. 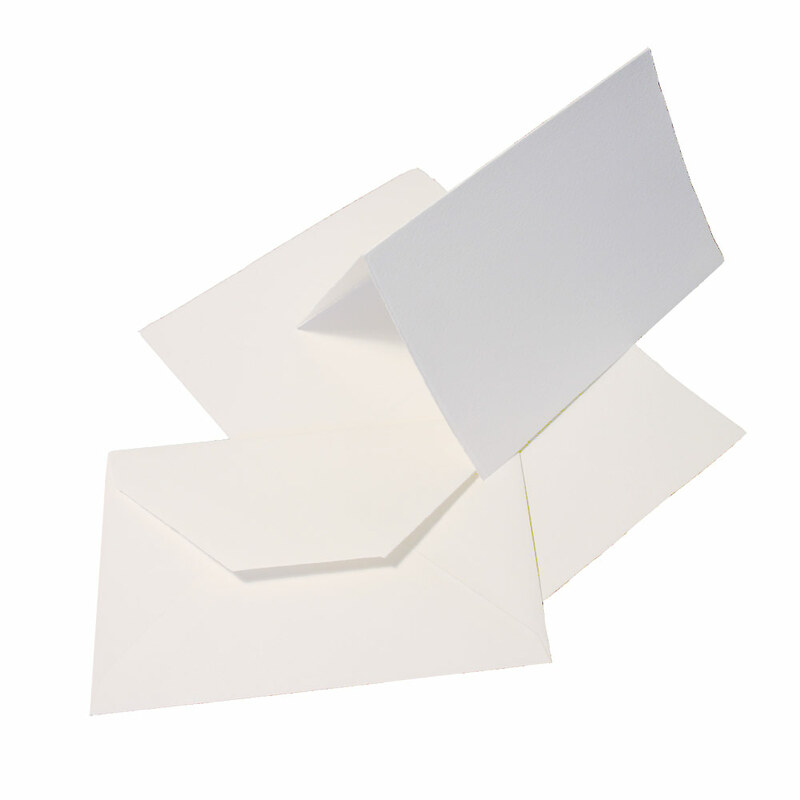 Available in 2 sizes (6.7"x4.5" & 6.9"x7.9" when folded) and supplied in packs of 10 cards and 10 matching envelopes. Super - Fabriano Blank Greeting Cards 6.7"x4.5"
Looking forward to Christmas - Fabriano Blank Greeting Cards 6.7"x4.5"
Fine quality material. In my opinion, just a little bit too dear. - Fabriano Blank Greeting Cards 6.9"x7.9"